The Last Hurrah of the Sacred Datura Flower – KeaPOD 96 | KeaNeato! Beauty even in death … the final throes of the white trumpet flower (see “The White Flower” by Georgia O’Keeffe). Photo by keagiles. 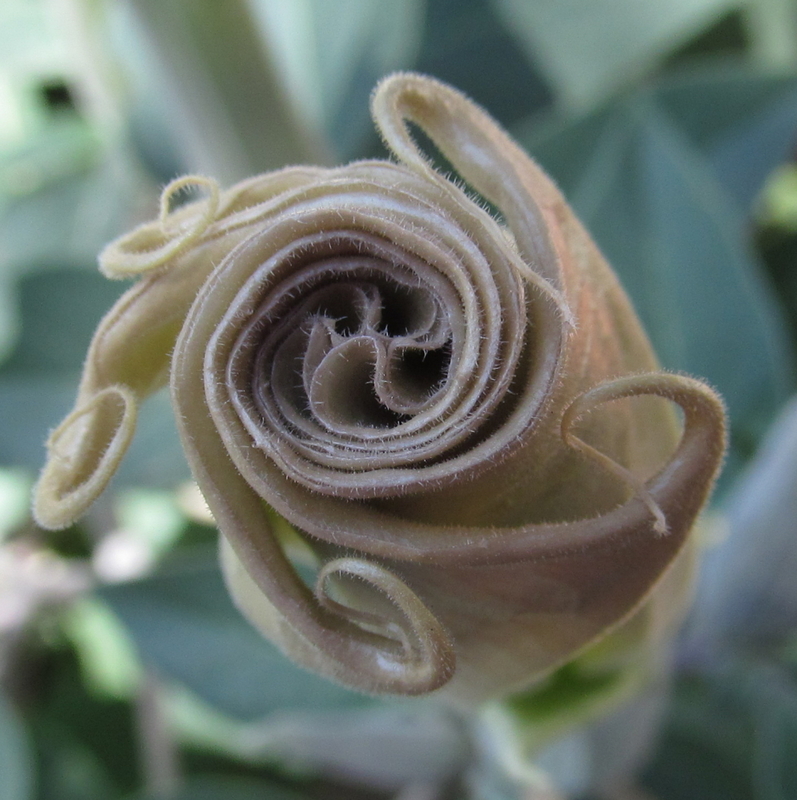 Note: This is actually a Sacred Datura flower folding up to become a seed pod. This entry was posted in beautiful, Nature, POD (picture of the day) and tagged flower, photography. Bookmark the permalink.